[Archived] "Delete ALL VISIBLE beatmaps" either doesn't work, or works badly · forums · community | osu! Problem details: I recently wanted to delete a bunch of maps with certain tags/artists/whatever, and I used the aforementioned function. Now, not only osu! completely freezes up when it "deletes" everything, but it also deletes only the .osu files, so as opposed to deleting a single beatmap manually it leaves ALL the mp3s, videos, hitsounds, backgrounds, and stuff like that. This issue has been adressed various times in this subforum,   , yet they've all been moved to the "Resolved issues" section, why? 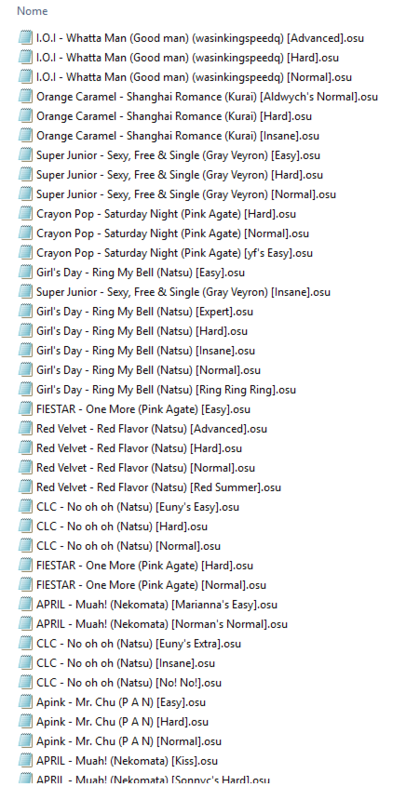 Video or screenshot showing the problem: this is what's in my bin, for example, after I try to delete everything with the tag "kpop" (I just picked something I didn't have many maps of). Last edited by felys December 3, 2018 at 1:26:50 PM GMT , edited 1 times in total.